I’ve been loving all things monogrammed. So my newest projects incorporate our monogram. It’s a classic way to customize your home. We moved into our new apartment a week ago. I’ve been unpacking for the most part, and trying to get everything organized. Here are two projects I’ve completed, for our new home. I love this key ring holder and think it’s going to look great that the door, above a table I have yet to complete. I’ll be sure to show you the complete look once it’s done! I showed you these pillows that I did a couple weeks ago, and finally got around to putting the finishing touches on them. I love the monogrammed pillow! This is what you you see as soon as you walk in. I like it, but feel like it looks a little sparse. I think it needs something more. What would you add? I plan on painting soon, but wanted this up to see how I like it. I hope you are having a great week! I’m linking up to the link parties listed at the bottom of my page! Thank you so very much for joining in with this week's Pinning & Singing Pinterest Party. I love monogrammed things too! I have a pretty blue bird hook in my hall ATM, but I think I may need to take him down and steal your idea for the space!! This is adorable! I love anything monogrammed too!! Thanks for linking up at Friday Frolic:) I am sharing this at Facebook today! Thanks! I apperciate you sharing it. I am featuring your Monogrammed Key holder today on my blog! 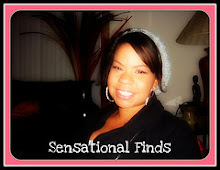 It was one of the top viewed links at Friday Frolic:) Congrats and feel free to grab a featured button on my sidebar!! Love anything with a monogram-following you from TDC-stop by for a visit!